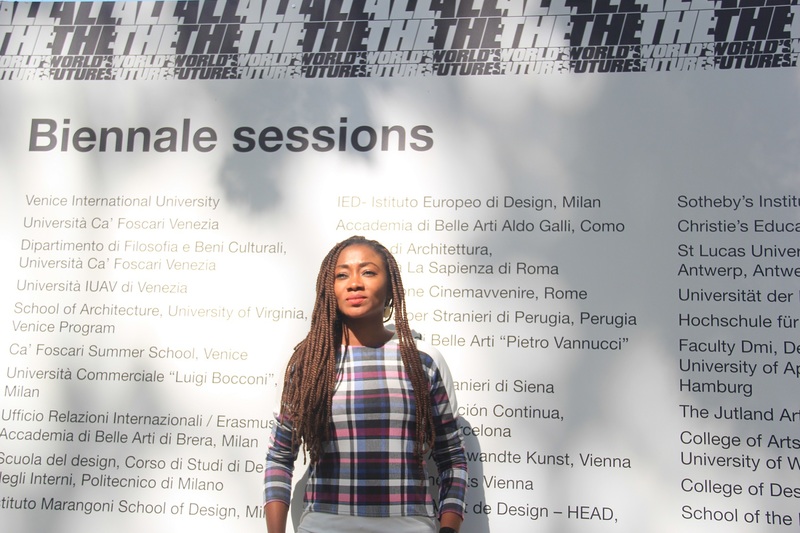 waka-about is one of the media houses accredited to cover the ongoing 56th Venice Biennial (9 May-22 Nov.), curated by Okwui Enwezor and organized by la Biennale di Venezia, [which is] chaired by Paolo Baratta. With a staggering 136 artists, 95 national pavillions, 53 participating countries and 30 exhibition buildings, La Biennale–now in its 120th year–is arguably the world’s biggest gathering of artists and lovers of Art. This year’s theme is “All the World’s Futures”, described by Enwezor as “a project devoted to a fresh appraisal of the relationship of art and artists to the current state of things”. Our correspondent on the ground is the sprightly art blogger Bukola Oye (puctured above), the brain behind thesoleadventurer blog. 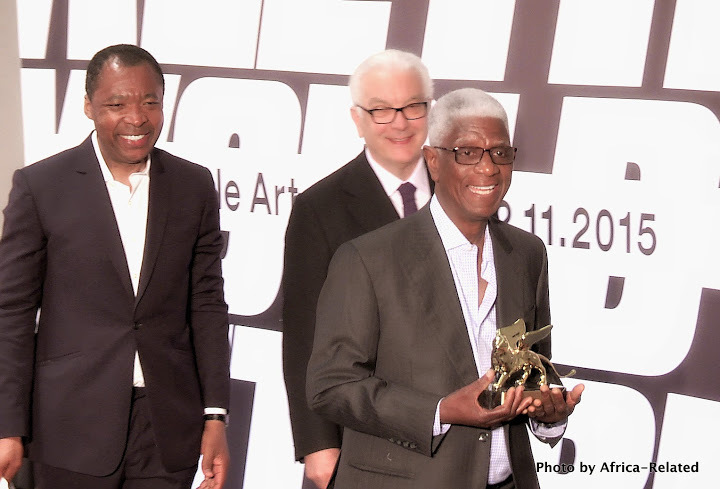 Bukola will be reporting Africa’s participation at the exhibition, which is already off to a glowing start with the award of the Golden Lion Lifetime Achievement Award to Nigeria-based Ghanaian artist El Anatsui. As a consequence, and to document Africa’s bright artisitics stars at the Venice meet, waka-about has planned to re-launch its print version, come July 2015. It is going to be a collectors’ edition. PS: if you’re visiting Venice between now and October and you wish to attend the Biennial, you could win a free ticket to the show, courtesy waka-about and thesoleadventurer.